Have you ever reached for an object and then exclaimed “Oh No!” because your back immediately went in to spasm? Have you ever sneezed and then spent the rest of your day trying to get relief from the intense pain that one little “ahh-choo” caused you? Have you ever gardened, indulged in some home repair task, picked up a baby, or flinched and had what seemed like an ordinary action result in incapacitating pain? The kind where you crawl in to a chair or can’t seem to do the simplest of activities. If you said YES to one or more of the above – welcome to the club! The OMG – I have back pain club! There are some interesting facts associated with back pain. A few may even surprise you. 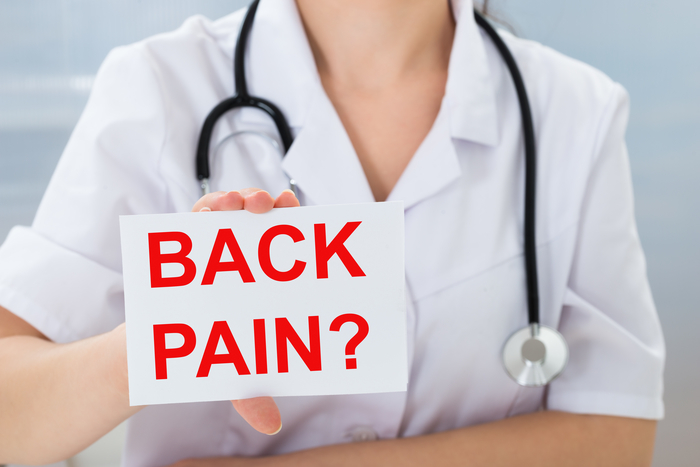 Experts estimate that 8 out of 10 adults will experience back pain some time in their lifetime. Related: Time Magazine even compiled their own informational list. I have spent the better part of 30 years combatting on- off – on and off again back pain. Mine, most likely, was the result of years doing gymnastics. I spent a good part of my youth flying through the air and trying to “stick a landing”. Only one problem. I was not a good gymnast! My “training” consisted of access to rudimentary equipment and a lot of hand springs on the lawn. So, in my 20’s I started to experience occasional back pain. I am no doctor (despite what my Mom wished), but, I do know that I have tried a lot of traditional and non-traditional remedies to alleviate my back pain. Not every person has the same symptoms. Dull aches are common. So, can be acute pain and discomfort due to sciatica involvement. I did some research on the most common and popular treatments for helping back pain suffers (acute and chronic). Below I compiled a list of sources that I found to be of interest and with educational value. Remember that each person reading this blog has a different set of circumstances when it comes to their own health. So first and foremost, you need to check to be sure that your back pain is indeed your back and not because of some other condition. Do your due diligence with your own research. Consider the resource links below a starting point for an education about back issues. WebMD: A lot of user – friendly information about symptoms, diagnosis, treatments and even quizzes. This medical website is a perennial favorite for all kinds of health related information. Mayo Clinic: Rumor on the street has it that this medical center “knows their stuff” when it comes to orthopedics, including ailments of the spine. Their information is very useful and I found it often encouraging. Related 6 symptoms you should never ignore. Chiropractors are very often called upon to help prevent and ameliorate back pain. I have used chiropractics and they were a great source of comfort when I was pregnant. Highly recommend reading up more about this type of therapy. Physical Therapy (who are now being educated at the doctoral level) can provide immense back pain relief. I am in the midst of PT right now – and must say Kathy Fox, my therapist, is an angel. I am NOT an easy patient. But she has given me many techniques to use and they have been very effective. One strategy is SIMPLE. When I twist and turn myself in a way that creates a spasm in my lower back I just remember to follow the SIMPLE guidelines to get me “untwisted”. Last but not least on my list … Acupuncture. I must admit I was leery of being subjected to Eastern medicine techniques. Guess what? It works! Or at least did for me! If you live in Los Angeles and are in search of an A+ acupuncturist be sure to look up Jean Morris. Related: reasons why acupuncture helps many back pain patients. I sympathize with any one who has suffered chronic pain. If you are experiencing mental health issues due to pain, perhaps depression, please seek professional help. No one should go through agony alone. Sending healing vibes to those in pain – back or otherwise.